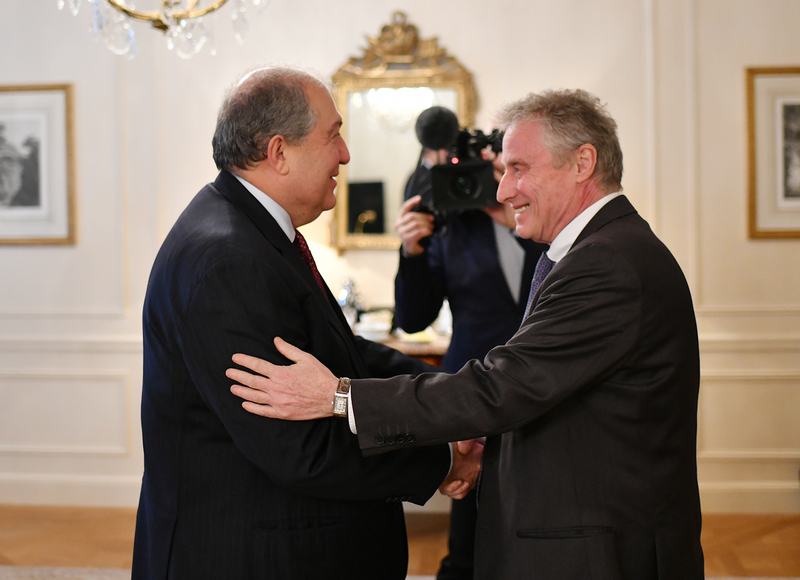 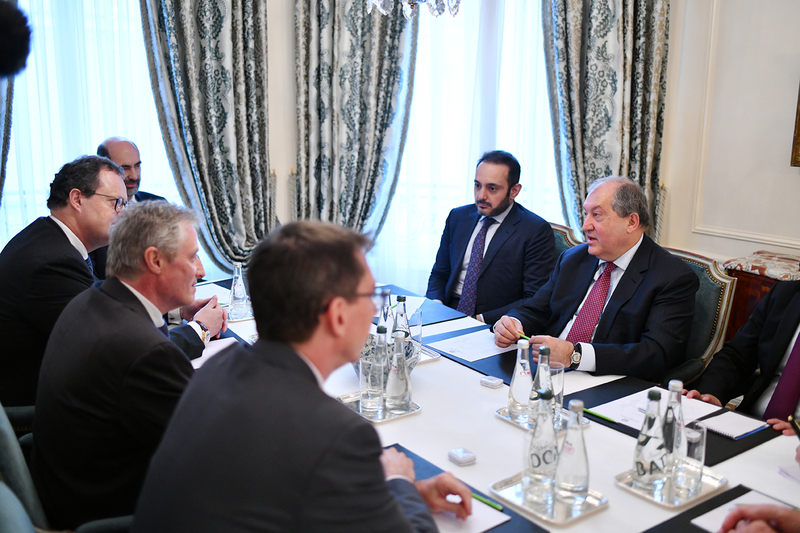 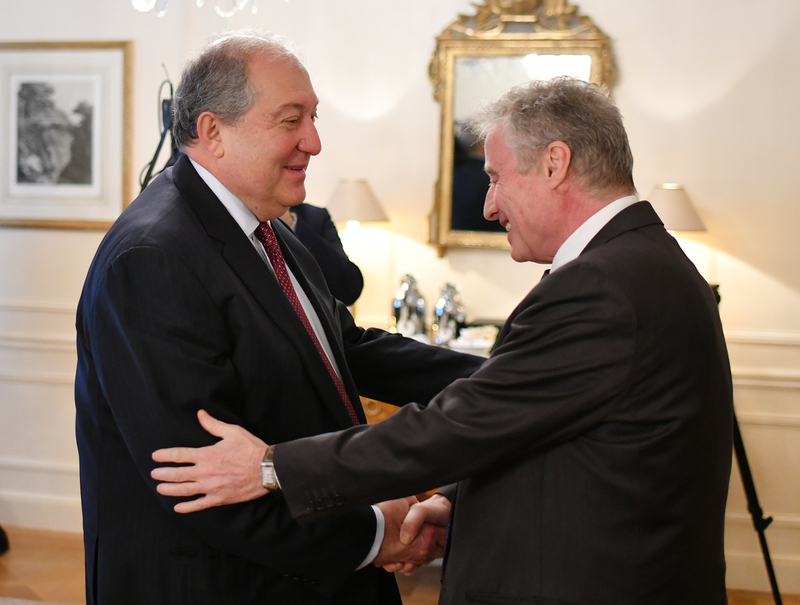 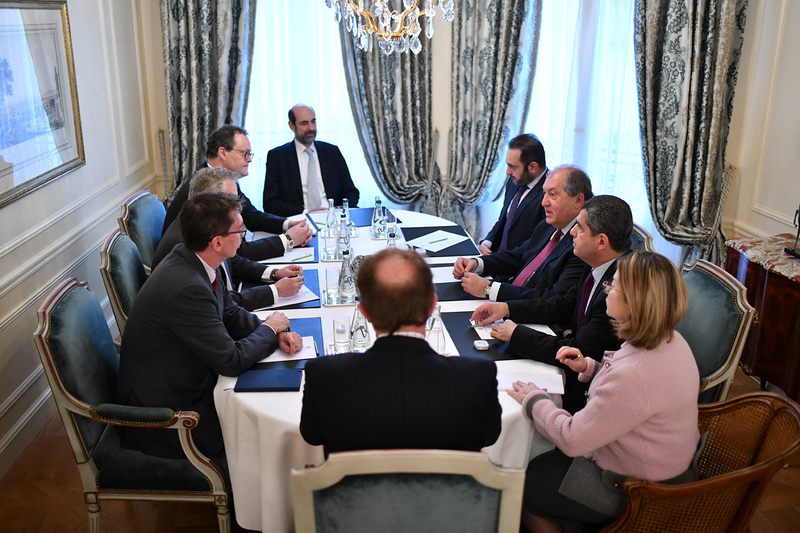 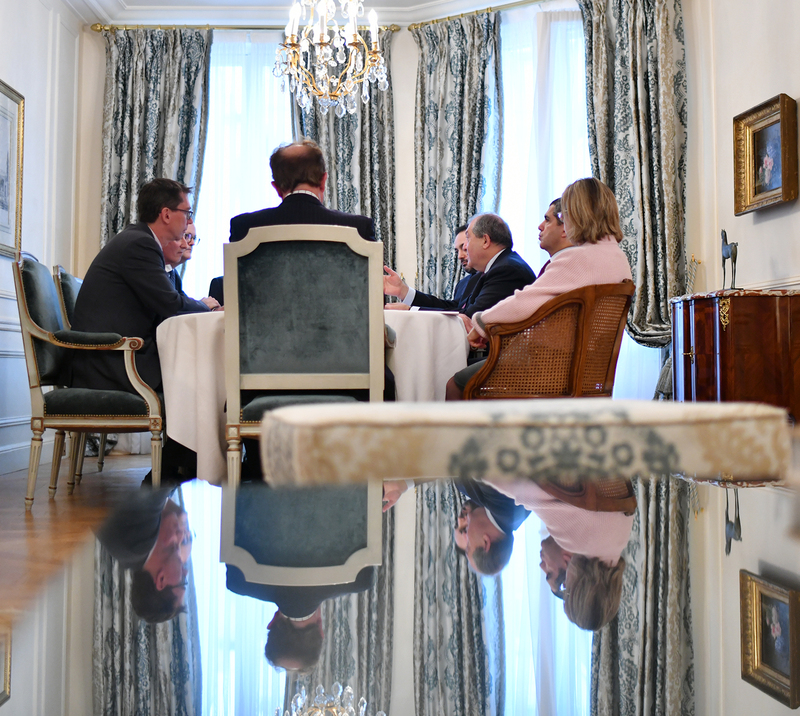 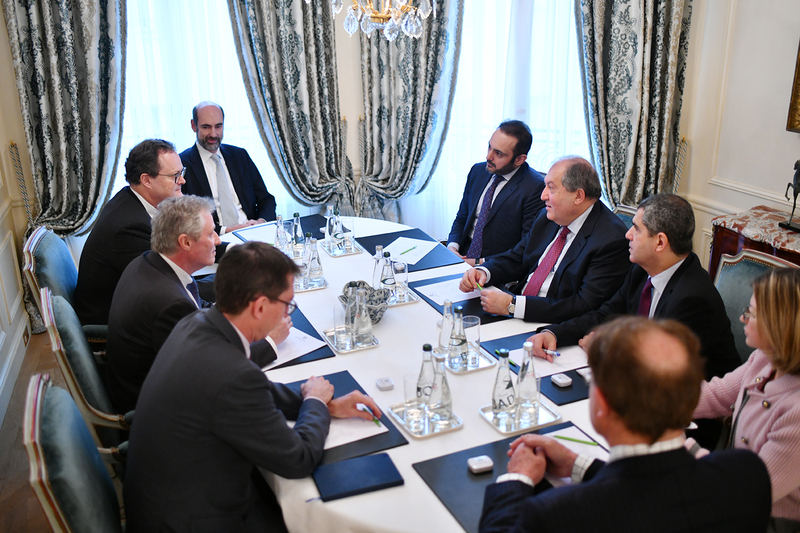 President Sarkissian, who is in Paris on a working visit, met with the leadership of a leading world company THALES, headed by the Vice President Rafael Ashkenazi. 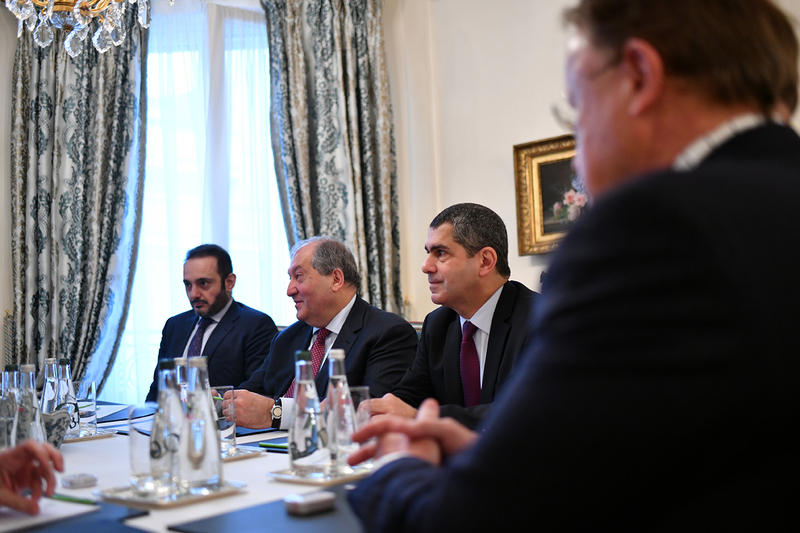 The parties continued the discussions on the previously reached agreements and detailed that at the end of February the Vice President and Regional Director of the Company Paul Remi would visit Armenia to see firsthand the opportunities for cooperation and to put the existing proposals on a practical base. 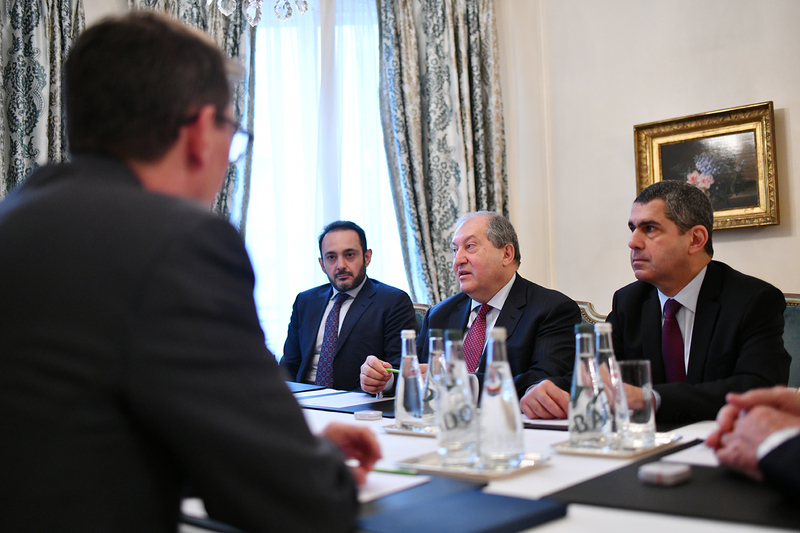 Stressing the importance of high technologies in Armenia’s development, President Sarkissian said, “My goal is to make Armenia a country of modern technologies.” He stressed especially the role of modern systems equipped with up-to-date technologies, particularly, with artificial intelligence. 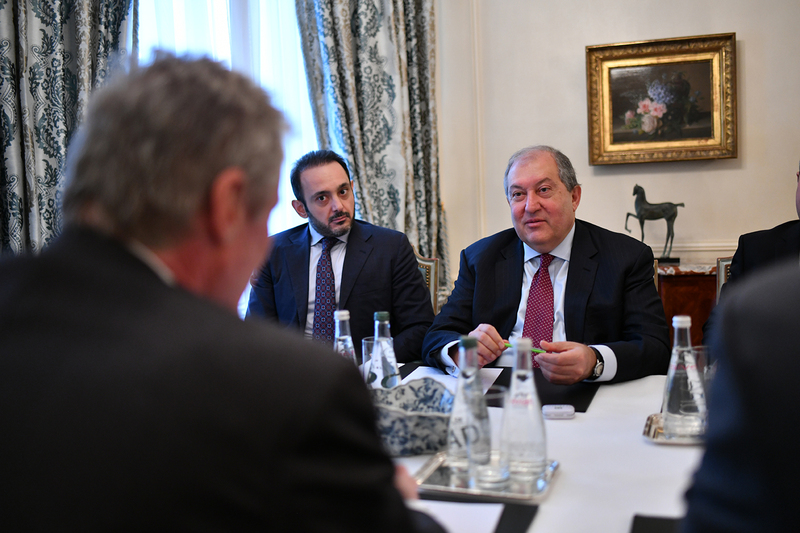 Armen Sarkissian viewed as important tying modern technologies and the already existing skills, boosting innovation and startups. 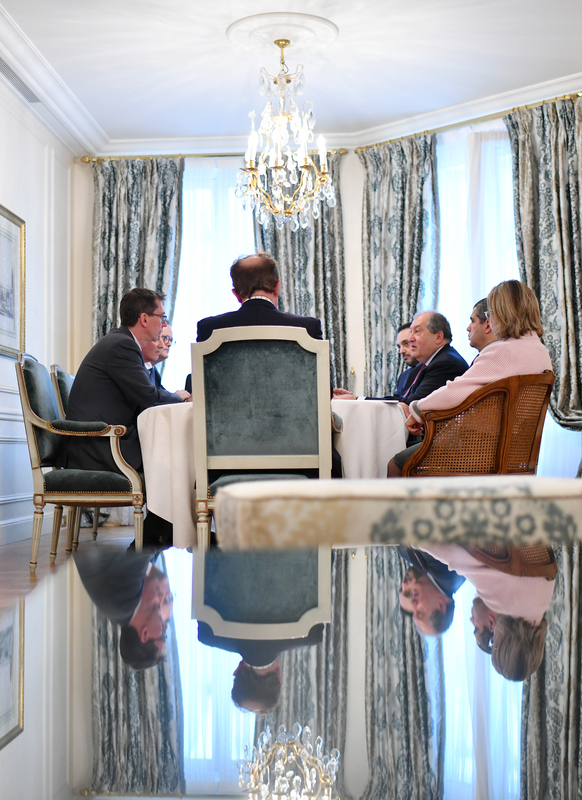 The THALES Group Company is working in different countries of the world and is engaged in the design and construction of electrical systems, provides services in the aviation, aerospace, defense, transportation, and security areas.